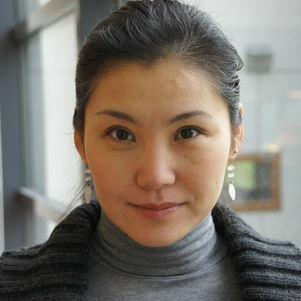 Yilin Huang is Assistant Professor at Faculty of Technology, Policy and Management, section Systems Engineering and Simulation. She grew up in Shanghai, moved to Vienna for her studies in 2002 and came to Delft in 2008 to pursue her PhD. Yilin has a strong background in Computer Science (Software Engineering and Distributed Systems Design), Modeling and Simulation (M&S), and has a passion for interdisciplinary research. She believes that disciplinary research and interdisciplinary research are not orthogonal but complementary. Yilin received her PhD on the subject of Automated Simulation Model Generation (2013). Her research mainly concerns M&S methodology and M&S-based design, with particular interests on data-driven and data analytics related subjects, distributed simulation, and design for engagement and sustainability. The application domain of her research ranges from transportation and logistics, smart grid, sustainable consumption, to humanitarian innovations. The EU FP7 STREP project CIVIS: Cities as drivers of social change, Delft University of Technology and others.